Recently when my favourite son became ill from a tick bite just as my favourite daughter recovered. We were all house bound due to my son needing to rest and recover. My daughter and I decided to attempt a sewing project together. 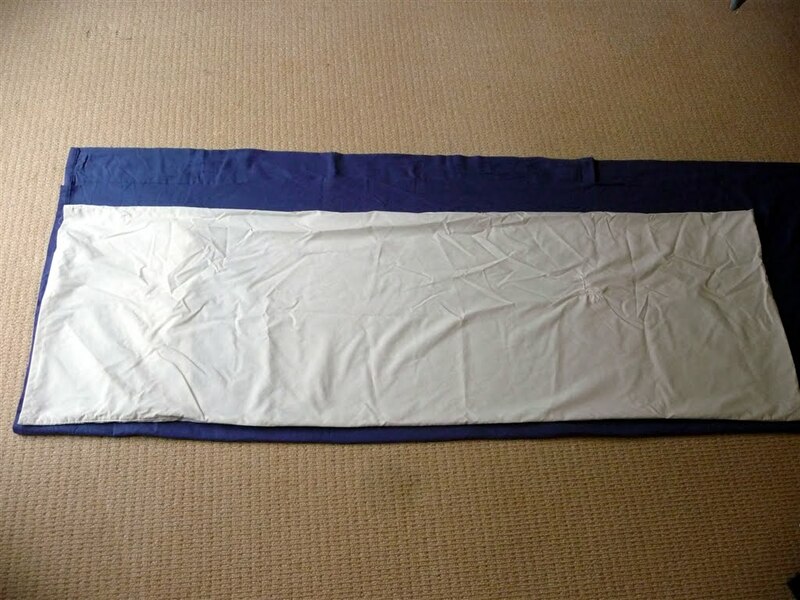 The result was a new full length body pillow and lots of special time together, creating a great memory. Cut out the material using an old pillow case as a pattern. Sorry about the poor light. 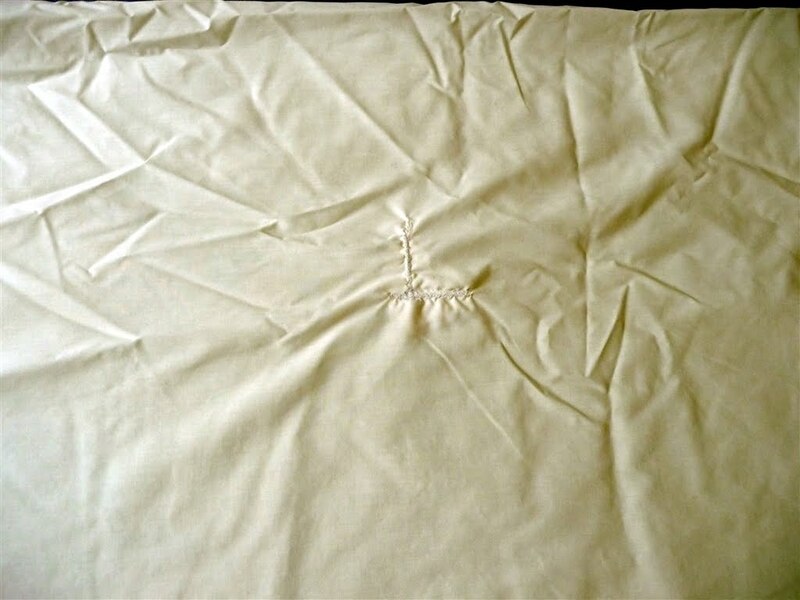 Yes I do repair pillow cases and sheets when there are small holes. Firstly my daughter was in the driving seat, foot on the petal and in charge of the whole show. 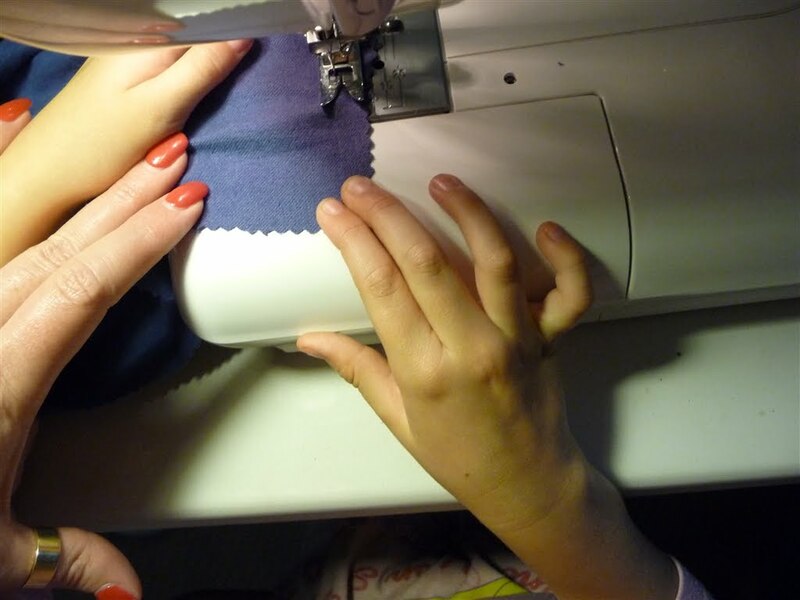 Sometimes the sewing wasn’t straight and we would have to start over again. 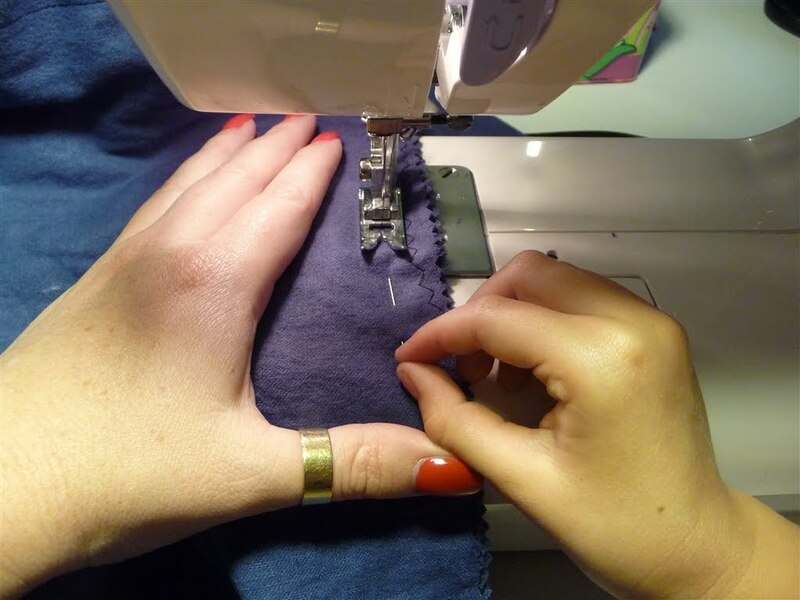 I pinned and my daughter sewed. Eventually I was in the driver seat, with my daughter sitting on my lap, she was pushing the pedal and incharge of taking out of the pins and pressing the reverse button. Our pillow was finished in record time. How fun! 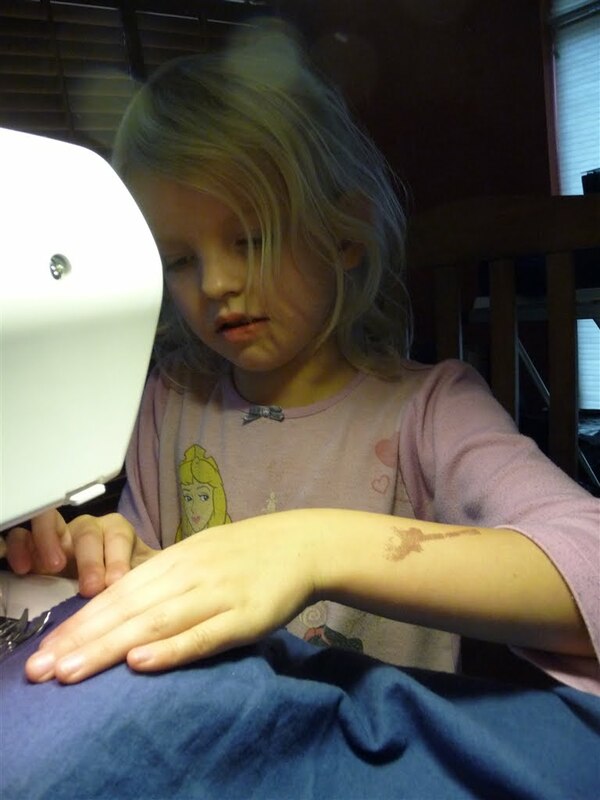 She is always going to want to be a part of your sewing projects from now on. She'll definitely remember this when she is older.